After the murder of unarmed black teenager Mike Brown by a white Ferguson Missouri police officer, a protest movement began to emerge. 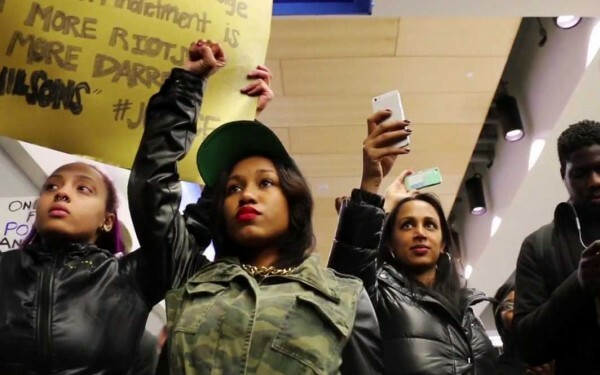 The most visible and well organized movement was started by 3 women of color who were fed up with the injustice and wanted to do whatever they could to unite everyone around the idea that black lives have just as much value as any other and highlight the very apparent fact that a lot of police and other people in positions of power do not value black lives. This ugly truth has been verified by extensive studies and backed-up by police arrest/encounter statistics in every police department all over the country. I’ve written a number of blogs about the data and provided source information in every one of them, so if that’s what you’re looking for feel free to look through Socially Urban’s archives. 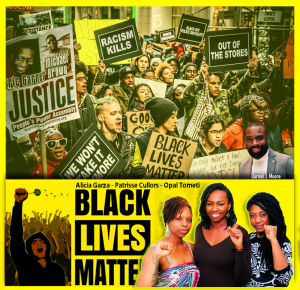 This blog is about the 3 founders of the “Black Lives Matter” movement, and how some well-meaning misguided men are questioning the movement because the founders are gay women. Alicia Garza, Patrisse Cullors, and Opal Tometi jumped right in from the very beginning in Ferguson even before the media arrived. They organized, they protested, they marched, they kept everyone up to date on twitter, and dedicated themselves to this movement. 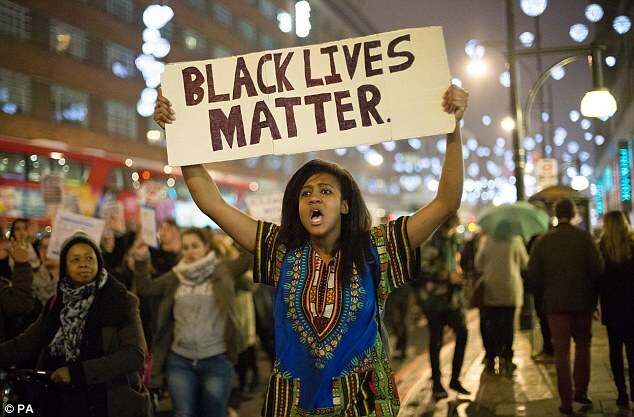 Black Lives Matter gave the movement a tangible legitimacy that it seemed to be lacking from the outside looking in. and because of that we now have legal gay marriage in 37 states with a case before the Supreme Court right now that will lead to gay marriage rights in all 50 states. You have to question the motivation of someone who’s willing to destroy an entire movement because gay people make them uncomfortable. The gay people protesting right beside you for the same cause is not the enemy. If we start thinking like that, we’ve already lost before we’ve even began. People like Tariq Nasheed who’s been one of the most vocal critics against lgbt people of color, has a history of misogynistic homophobic divisive hate-speech and if anyone cares about the movement against police brutality specifically against black men, they’ll see him for what he really is. A pseudo-intellectual idiot who should’t be taken seriously on any level. His message is outdated and counter-productive, and if listened to will divide and weaken the collective force the “Black Lives Matter” campaign has amassed. But no matter how hard they try to bury the 3 lesbian founders, we will continue to protest, speak-up, and march for what’s right. Whether we get the recognition or not. have been a March on Washington, and MLK’s I Have A Dream speech wouldn’t have had the same grandeur and resonance without the image of 250,000 people of all colors uniting on the national mall all the way to the steps of the capital just to hear this extraordinary black leader speak. Whether there in person or watching on tv at home, the entire nation was captivated. 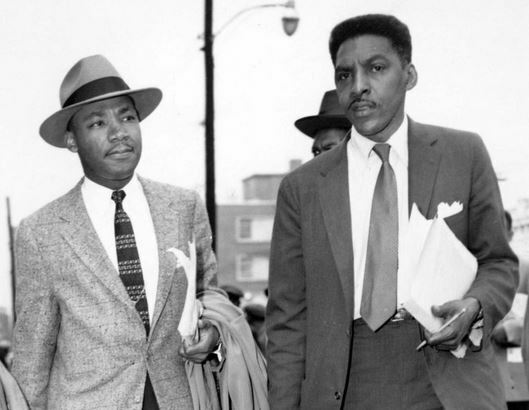 That whole event was created and planned by Bayard Rustin. An out gay proud black civil rights hero who deserves to be recognized for his work within the movement. Black Lives Matter is a protest movement calling for change in our criminal justice system and change in the way police interact with the communities they serve. It is not “pro black” or “anti police” or “anti white”. People of all races are involved and welcomed in the movement. It is not intended to “stir the pot” or divert attention from anything or anyone. If you think George Soros or any other billionaire is controlling the protest or message you are grossly misinformed. If you’re curious about the movement you should take a look at the policy positions we have laid out. There’s no conspiracy, there’s no secrecy, there’s no evil movie villain silently controlling and influencing things from the shadows. I’d like to recommend a book that I hope you’ll be curious enough to go buy and read it. It explains in detail the ways in which our criminal justice system creates enormous inequality in the way black citizens are treated which is very different from the way white citizens are treated. The title is “The New Jim Crow” by Michelle Alexander. I guarantee you’ll have a better understanding of the activist who are in the Black Lives Matter movement. If you don’t want to pay for it out of your pocket I will be happy to purchase it for you. And I mean that. And thanks for your comment. I apologize it has taken so long for me to respond.